From Wikipedia, the free encyclopedia. 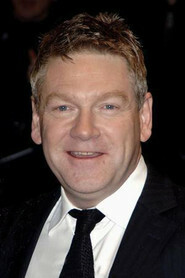 Kenneth Charles Branagh ( born 10 December 1960) is a Northern Irish-born English actor and film director. He is best known for directing and starring in several film adaptations of William Shakespeare's plays, but has also appeared in a number of films and television series. Description above from the Wikipedia article Kenneth Branagh, licensed under CC-BY-SA, full list of contributors on Wikipedia.